“Hockey where I lived is really not big at all. I really wanted to play at a normal level and back home I had to play with guys, and I really wanted to play with girls again,” said Bieke van Nes, one of Concordia’s newest women’s hockey players and one of only two players from outside of Canada on the team. Van Nes, a Dutch native, had thought about going abroad again after spending time back home in Amsterdam. She soon found herself in Canada, a familiar hockey country where she had previously spent a year playing with a team in Banff, Alberta. The friend van Nes is referring to is Emily Even. She spent four seasons on defence with the Stingers women’s hockey team, from the 2013-2014 school year to the 2016-2017 one. The former Stinger is an Amsterdam native as well, and has spent a number of years in the Dutch national development program alongside van Nes. Knowing that Even was familiar with Concordia’s program and recommended it, having had a positive experience living in Canada previously was enough to convince van Nes to make the jump. Now she finds herself a U Sports athlete on one of the top teams in the country. Van Nes said that she’s been really enjoying her time at Concordia this season. One of the main reasons Canada and university sports were a big draw for her when deciding to go abroad again was the opportunity to continue her studies while playing at an elite level, something uncommon in her home country. Something that can be noted about North American university athletics is that the possibilities are nearly endless in terms of options for athletes of all levels, and elite athletes in particular, in terms of schools to go to and teams to play for. Nowhere in Europe can you find as many nationally and internationally recognized varsity programs as are offered in Canada and the United States. Of course, it is possible for an athlete to compete in their sport while working towards a secondary education in Europe, but options are slim on campus and high-level athletes are often forced to look elsewhere for elite programs to partake in. In Canada, elite level athletics and quality education live in harmony by allowing athletes to succeed in their sport and in their academic endeavours, making it a very attractive option for young athletes looking to study and compete abroad. Not to mention the wealth of resources for young athletes when it comes to mentorship. Concordia’s women’s hockey team in particular boasts an impressive roster of coaches.Head coach Julie Chu, the former captain of team USA is backed by Caroline Ouellette, former team Canada captain, each of whom have multiple Olympic medals to their name. The Stingers coaching staff also includes a number of current and former Canadian Women’s Hockey League pro players. The opportunities for athletes when their time as a student is up are plentiful in North America. While not everyone is guaranteed a professional contract at the end of their university eligibility, U Sports and the NCAA often serve as stepping stones to semi professional or professional careers. 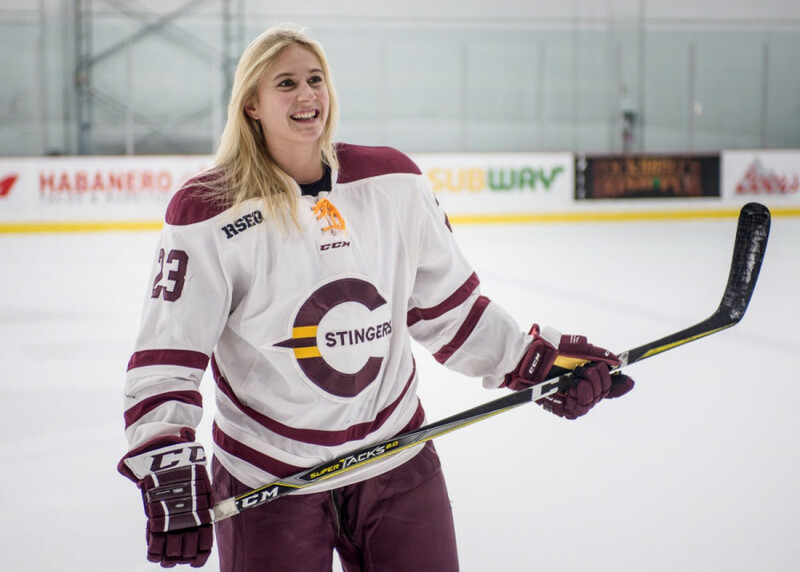 A number of Stingers have gone on to play professionally, especially women’s hockey players. In the last few years, three Stingers have been drafted to Les Canadiennes de Montreal in the CWHL draft: including former captains Tracy-Ann Lavigne in 2017 as well as Marie-Joëlle Allard and Caroll-Ann Gagné in 2018. Despite being happy with her decision to come to Canada, van Nes acknowledges that moving halfway across the world was no easy task. “Obviously moving countries is a big step, there’s a lot to think about and a lot to take care of,” she said. She also explained that while she sometimes feels homesick, she thinks of it as less of missing home in the physical sense. Van Nes’ fellow Stinger Stijn Kruidenier, also a Dutch native, has found himself in a similar situation to van Nes. As a member of Concordia’s men’s soccer team for the past two seasons, the marketing masters student at the John Molson School of Business has spent a number of years travelling the world as both a student and an athlete. Moving from place to place as a child for his father’s career, Kruidenier said he caught the travel bug and it just stuck with him. He was born in Amsterdam, and has lived or studied in the United States, Switzerland, Belgium and the United Kingdom. “The younger part of my life was mainly due to my parents, but I guess it kind of got built into me that I like adventuring a little bit,” he explained. obtaining a degree while continuing to play soccer at a high level. “I came to Canada just because I wanted to play soccer and in Europe you can’t play soccer and study at the same time, it’s not very well coordinated,” he said. 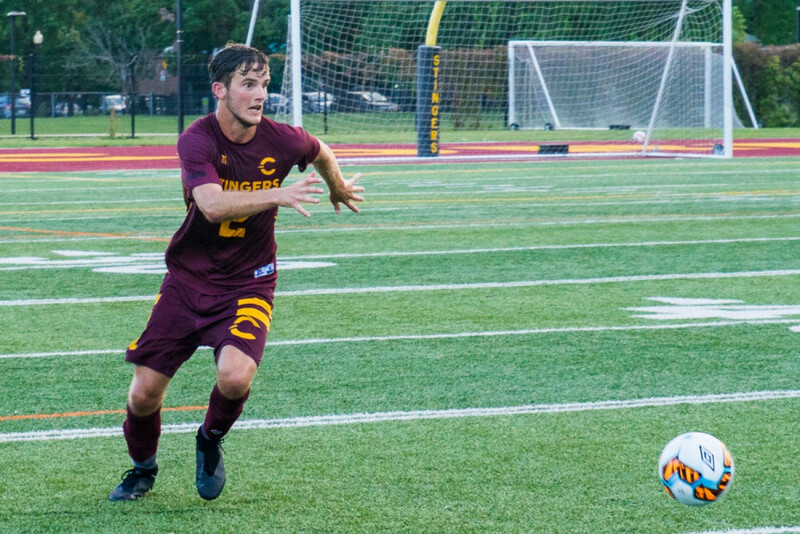 For the past two seasons, Kruidenier has settled into life in Montreal, and as a member of Concordia’s men’s soccer team. Despite the team’s less than stellar record over his two seasons with the program, Kruidenier said he’s really enjoyed his experience. As the marketing student prepares to finish his degree and graduate at the end of this school year, he’s contemplated staying in Montreal or somewhere else in Canada. “That’s still to be determined,” he chuckled. Olympics held in Pyeongchang, South Korea. She plans to continue representing her country while completing her degree at Concordia, something she said is common among many of her teammates on Team Netherlands. During her time here with the Stingers, she puts in her own hours in the gym training in anticipation of the upcoming World Championships; her teammates do the same with their respective club teams. Over the holiday break, van Nes joined her Team Netherlands teammates on home turf where they had the chance to regroup and train as a team. Van Nes also mentioned that a more long term stay in Montreal or Canada might be in her plans, but since she still has two years to work towards her degree, that’s a conversation for another day.